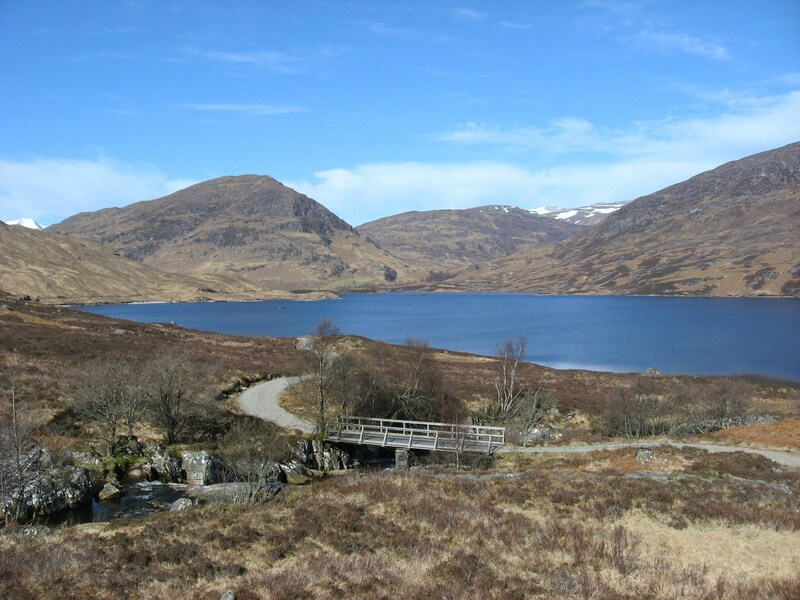 THE West Highland rail line is a vital link for walkers, an artery straight into some of our more remote mountains. The hills around lonely Corrour Station, for example, would be harder nuts to crack without the train. They are remote hills - but even remote hills can get busy at times. I don’t normally walk weekends. I prefer the quieter midweek days. I especially try to avoid holidays. But here I was on Easter weekend in a carriage packed with walkers and climbers. 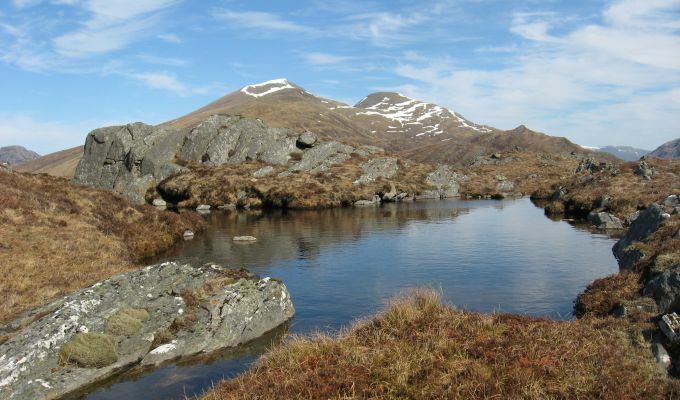 Most were heading for the honeypot hills, the Ben Alder Munros or the likes of Beinn na Lap or Chno Dearg, some for the shorter walk around the rim of the shapely Corbett, Leum Uilleim, on the other side of the tracks. But the point of going into the wilderness is not to be forming a queue to climb a hill, so my mission was to go somewhere quieter. I was going to tackle two smaller hills, Creag Ghuanach and Beinn na Cloiche, via a track that leads round the head of Loch Treig. There’s always those few moments when the passengers disembark, everyone milling around on the short platform waiting for the train to leave, as if to reclaim the silence and solitude. When the train disappears into the distance, the human spokes fire off in every direction. I set off north-west on the right of way signposted for Fort William and Kinlochleven. The track soon turns to mud and there’s a bit of a bog trot for a couple of miles, hopping and jumping over and around the worst of the quagmire. It soon turns back into a solid track though and it’s not long before you are gazing down the vast length of Loch Treig. This fjord-like body of water was looking at its finest today, the sparkling sun turning blue waters into a shimmering sheet of glass that stretched as far as the eye could see. There were a couple of anglers trying their luck and a man backpacking his way out with his faithful dog in tow. A bit further round and I met another long-distance walker. He was carrying one wheel from a bike, the rest having been stashed elsewhere. You can’t be too careful. My first objective, Creag Ghuanach, the Stately Crag, was now visible, standing proudly above the boarded-up white walls of Creaguainneach Lodge at the head of the loch. It belies its modest height and there is no arguing that the name fits like a glove. It’s a tough little hill with crags and slabs scattered over every face, so it’s largely irrelevant which route you take up. About an hour of dodging round obstacles and finding grassy ascent ramps and I was at the summit. The views are expansive, the Easains to the north-east and the snow-capped Glencoe and Nevis mountains filling the horizon to the west. 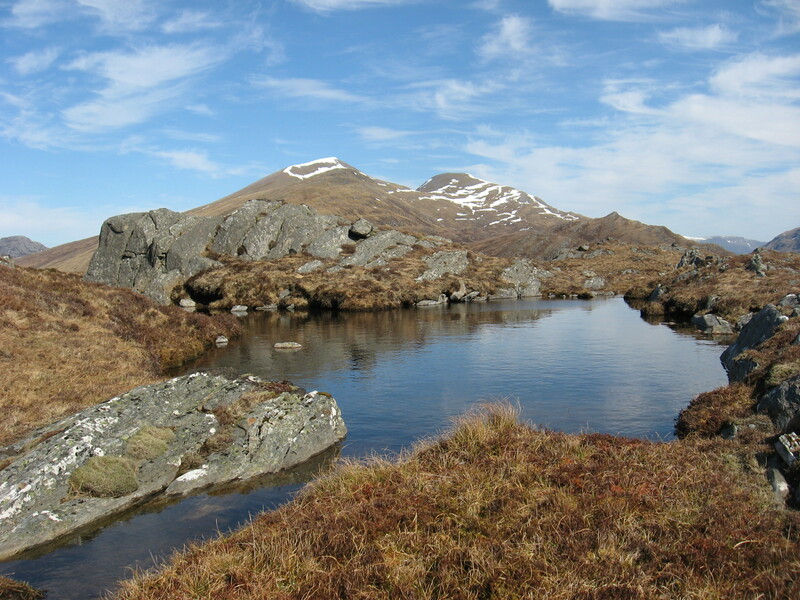 A quick run down the west ridge and you come to the next obstacle, the waters of the Abhainn Rath. There are stepping stones here over to lonely Staoineag Bothy but unless you are about seven feet tall, the distance between them is problematic. The surge on the middle section is also fierce. In wet weather this could be impossible. From the bothy it’s a long, heathery pull-up over a series of false tops to Beinn na Cloiche. It’s another superb 360 degree viewing platform but there’s still a long way back to catch the last train. I dropped east to pick up the path heading north through Gleann Iolairean. It seemed a lot longer than it showed on the map but by then the heat was starting to tell. By the time I was back at the rail platform I had covered 18 miles. As I sat waiting for the train, all my fellow passengers from nine hours earlier started reappearing, one by one, until we had a full house for the journey home.